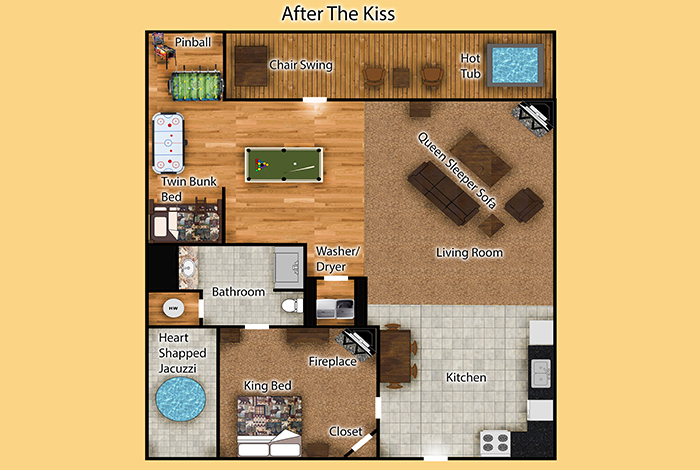 Whether you are looking to enjoy the perfect family getaway or a romantic vacation with that special someone, After the Kiss is sure to satisfy all of your needs. 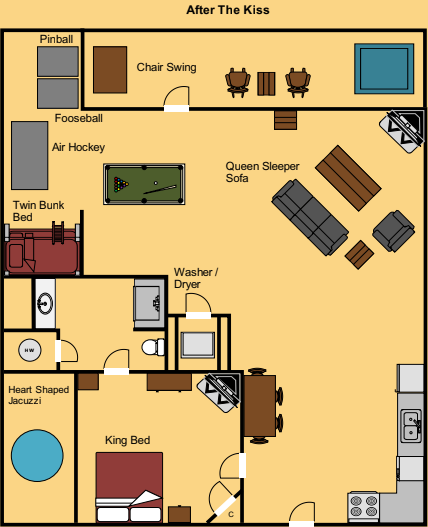 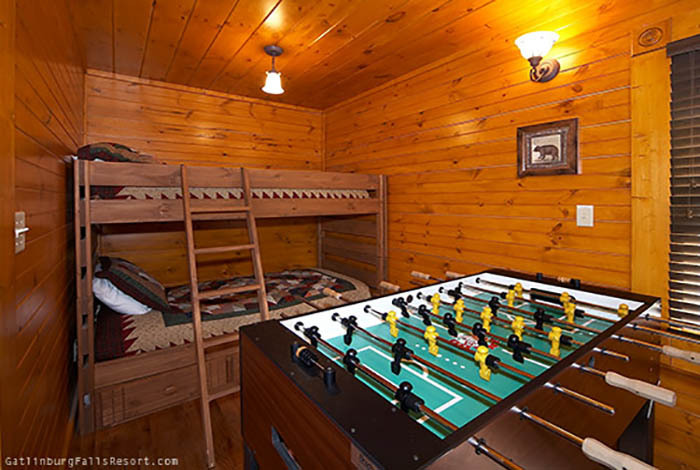 There is plenty of room for the kids with this cabins 1 king bed, 1 queen sleeper sofa, and 1 twin sized bunk bed, which can comfortably accommodate 6 people. 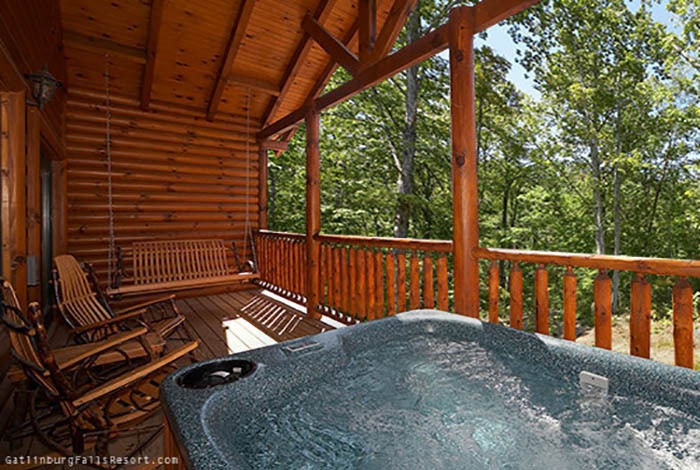 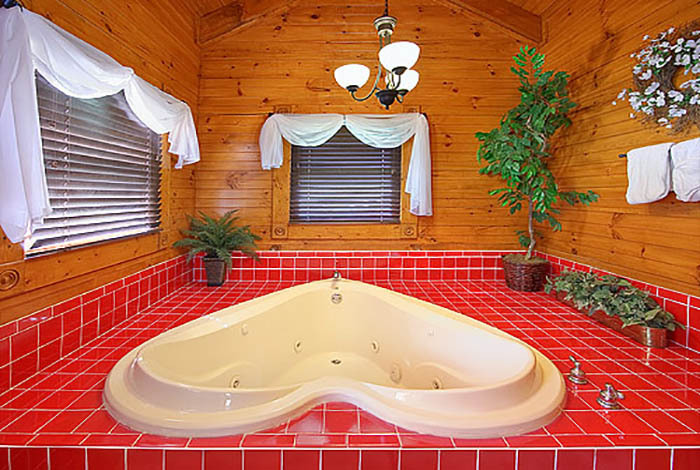 Couples will love the romantic touches this cabin offers such as a heart-shaped Jacuzzi tub, porch swing, Amish rocking chairs, and hot tub which feature beautiful resort views. 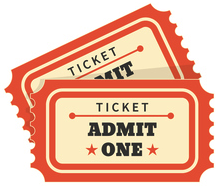 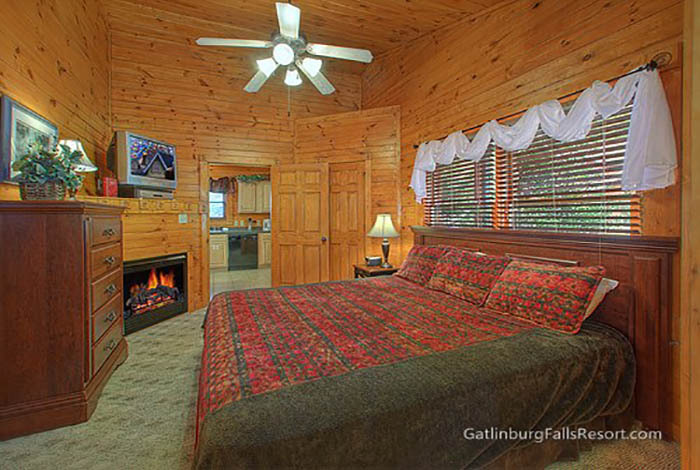 The adventure of the Great Smoky Mountains National Park and downtown Gatlinburg sit right around the corner and Pigeon Forge just minutes away. 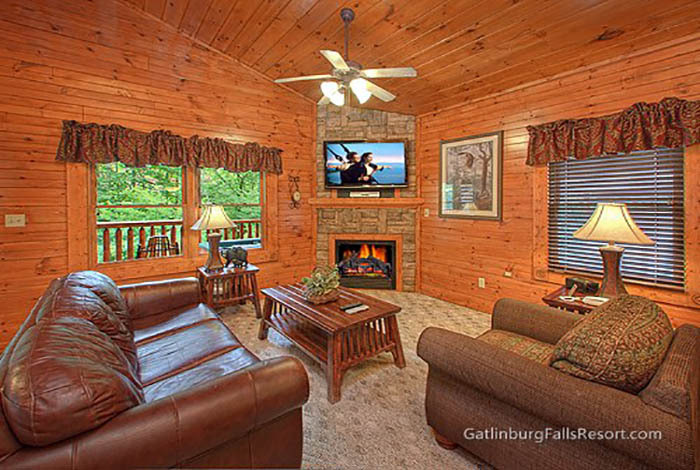 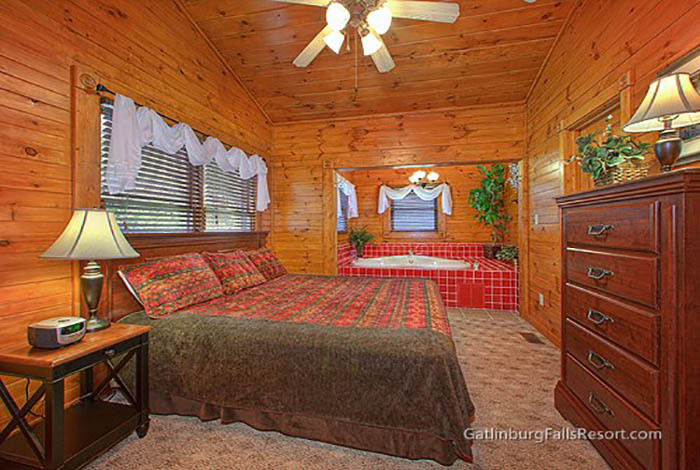 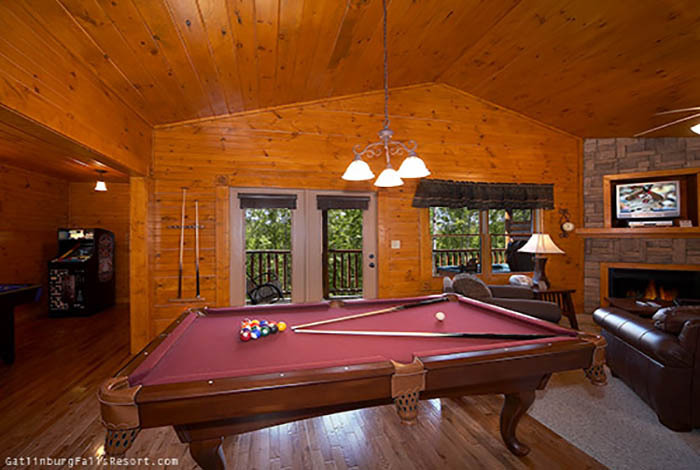 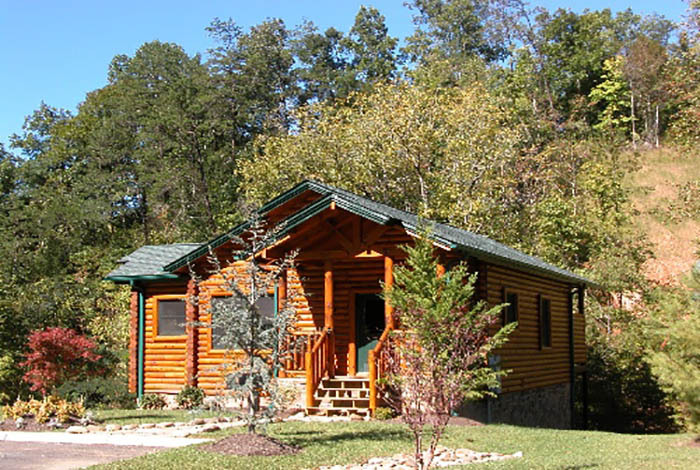 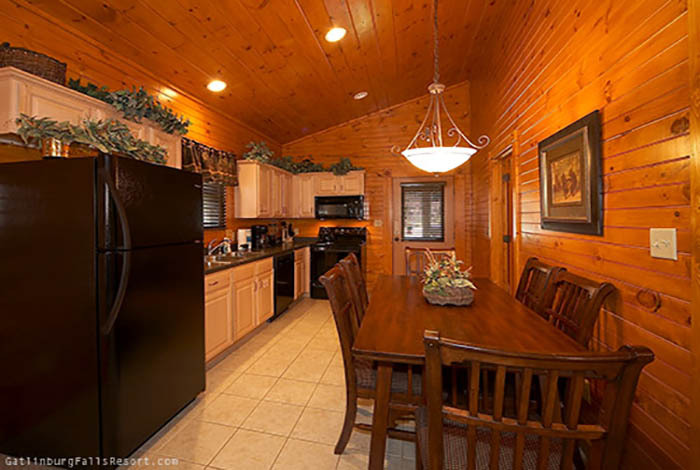 Your four legged friends are also invited to tag along as this is a pet-friendly cabin.